I served the pie with not vanilla but milk ice cream by Suomen Jäätelö. Too good. Sunday afternoon, some extra blueberries in the fridge and (almost) all ingredients on hand that you need for a pie. So let’s bake. The original recipe calls for 175 g (6 oz) butter and it is made with baking powder with no Greek yoghurt. However, I do not have any baking powder at home, and only some 100 grams of butter, so substituting half of the butter with yoghurt is a win-win-win solution: I do not have to run to the store, I get a lighter crust and I can substitute baking powder with baking soda that, without a sour ingredient like yoghurt, would produce an unpleasant tang. I hardly ever use white sugar for anything. I think it has no other taste than sweetness, while a good sweet flavor has more dimensions. Here I actually used raw coconut palm sugar and unrefined cane sugar, half and half. Along with a more interesting taste, unrefined sugars are better for you too, as all the nutrients have not been removed. Preheat oven to 200 °C (390 °F). Make the crust first. In a medium saucepan, melt butter on low heat and leave to cool. In a separate bowl, blend baking soda with flour. Add sugar and cardamom and blend. Pour dry ingredients over melted butter, blend lightly with a spoon, add yoghurt, and using your hand, work into an even dough. 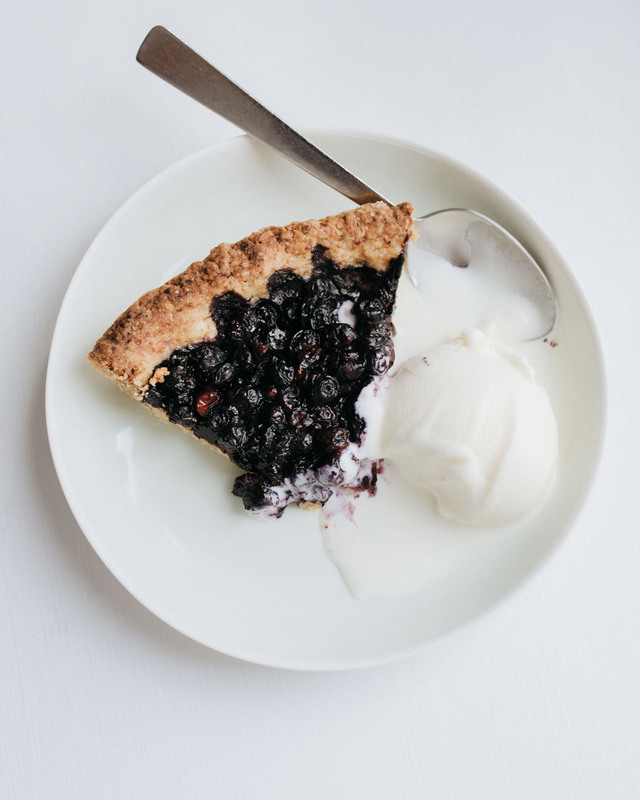 Spread and press the dough on a buttered tart pan with damp fingers and fill the crust with blueberries. Blend together potato starch and sugar, and using a strainer, sprinkle the mix over the berries. 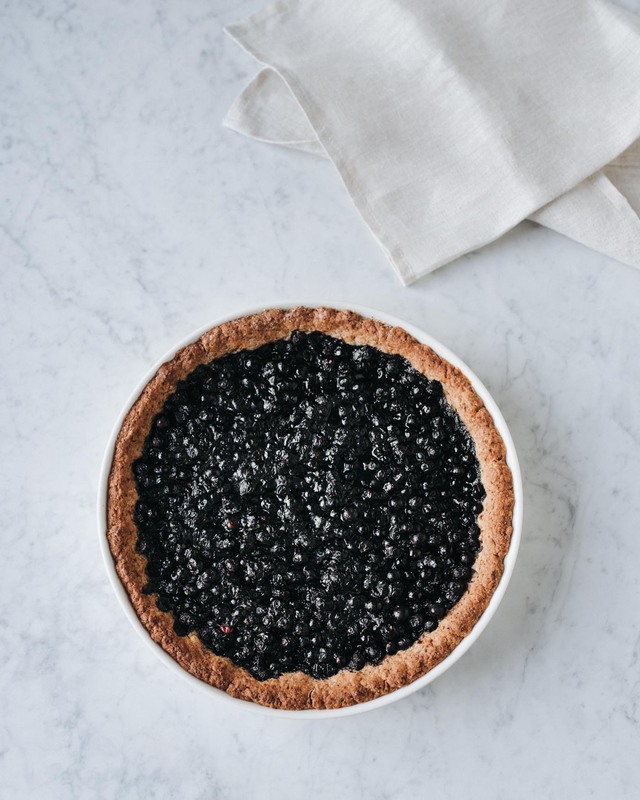 Shake lightly so that all of the flour is blended with the berries and there are no white spots on the surface. Bake in the middle of the oven for about 25 minutes. Serve as is or with ice cream.